Joanna Pruess is an award-winning food and travel writer who has written extensively for The New York Times Magazine, The Washington Post, Fine Cooking, and Food & Wine. 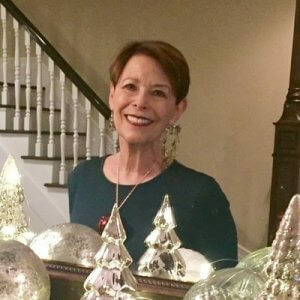 She is the author of 14 cookbooks and a freelance editor on the Reedsy Marketplace. Note: this transcript has been edited for clarity. I started getting very interested in family cookbooks when I was pregnant with my twins, many, many, decades ago. 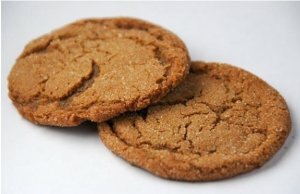 I was about eight months pregnant and I was looking for a recipe for molasses spice cookies from my grandmother. I couldn't find it (and my grandmother wasn't around) but I remembered that she had a jar Brer Rabbit Molasses on her shelf, and so I said, "Okay, well we're gonna go look for Brer Rabbit Molasses." And off we go to the store, and lo and behold there was a jar. When I turned it around, there was a recipe for baked beans, and I was absolutely not interested in baked beans being so pregnant. But I did find a phone number at the bottom of the jar, and so I called them, and they explained to me very nicely, "Ms. Pruess you'd be happy to know that recipe appeared on our label in 1919." Which made a lot of sense, because it would've been when a lot of people got their recipes on packages, and jars, and whatever. She read out the recipe and I remember writing it down, and I ran into the kitchen with my stepdaughter, and we started making these cookies. Along the way, I said, "Gee, you know my grandma did it slightly differently." I was looking for a cookie, and 'cause I'm a cookie freak, and I wanted her cookies. So I started improvising. What you do is you mix the ingredients, you roll it, and put it in sugar. I remember we used to eat as many balls of raw dough as we did cook cookies. That being said, the first batch comes out and I'm in my grandma's kitchen again — and I am so excited. I made five dozen cookies. The next day I decided to double it, so I made 10 dozen, 120 cookies. The first batch had gone back to school with my stepdaughter, and to my husband's office, and the batch from the second day went almost as quickly. A few days later, I thought "I'm gonna make five times this recipe. "So I make it, and I suddenly get these horrible cramps in my stomach. I figure, well maybe it's the molasses —maybe I'm just eating too many balls of raw dough. So I call up the obstetrician and the nurse said, "Well why don't you just come to the hospital, you're five weeks before your twins are due." I get to the hospital with my tin of cookies. They hadn't even registered me when out pops my son Ben! I thought it was a very fast and easy way to have a baby, but I still had another baby, and he flipped over and 12 minutes later we got into a delivery room, and he was born. Lots of people came to visit. These nurses, these doctors, they said, "Anne, we hear you have these amazing cookies." So suddenly, these became the cookies that went around the world. My daughter who lives in London has put it up on her website, I've given it to chefs for their wives who were having babies. This is one example of a family recipe — and I got it off a recipe on a jar. Where do family recipes come from? One way to get a recipe is to have it handed down from your grandmother or your great-grandmother. I got a recipe from my great-grandmother, she used to come out from Chicago to California and she always came with boxes of cookies. And I was really excited, and I remember these white boxes with rubber bands around 'em. I was writing my first cookbook, I got an envelope in the mail. It has my great aunt's spindly handwriting: it was this recipe. I was so excited, that I made them, and it was in my very first cookbook. So ask your family: your cousins and any adopted members. If your mom, or even your grandmother's still alive, get into the kitchen now. Go collect these recipes! And then some years later, when I was writing an article on how to create a lost family recipe, I went back to my cousin, who lives in Chicago. She goes to me, "No, that's not how my recipe is." And you know what? My cousin's cookies they were that much better. And this is another thing you should know: when you get a family recipe, you don't always get the same versions. You have to be somewhat of a culinary sleuth and figure out which version you really love. When I was writing my cast iron books, I would talk to people, and do you know what's wonderful? You get people talking about their recipes, and that's how they connect. They wanna tell you how they cooked in cast iron, they wanna tell you how they cooked bacon as a person. All of that, is who you are. That's what's gonna make this book so exciting, so makes your heart sing. Go ahead and you get your recipes in order. You can do whatever you want, but you want to think about divide them into chapters. Try for a somewhat even distribution. You can go the conventional order which is soups, salads, main courses, vegetables, pastas, whatever you want and desserts. Or you can balance it according to what you cook the most. That is one of the most critical things, along with getting your family's story, is testing and correctly documenting your recipes. But in order to get a recipe to be tested, first you have to write it down. Tip: List the ingredients in the order the greatest amount of ingredient that is used at the same time. One and a half sticks (six ounces) of unsalted butter. One and a half cups of sugar plus a half a cup of sugar. Why did I separate it? Why are they divided? Because the sugar is added at two different times and for two different purposes. At first it's added with the butter, and that last half cup of sugar is what you're gonna roll the little cookie balls in. Your family may include people from around the world — which might be reflected in your recipes, so explain that part of your history. That all come sunder what I call, the sidebar or headnote information. This is what tells the reader what the recipe looks like and what it tastes like. This is where you can say it came Aunt Mary, or reveal the experience you had when you found it. You can also put in silly and fun stories, and or even your pictures. This is how we're getting these recipes to be exciting. If somebody doesn't know what it an ingredient is, explain what it is. Remember I told you about molasses? In America, a lot of us have grown up with molasses, but when I was in London cooking with my daughter, we had to find it at Harrod's — the famous department store. If the reader can't find an ingredient in the supermarket, Amazon almost certainly has it. Let's say your recipe calls for a bunch of parsley. How big is a bunch? The bunch you get in the supermarket won't be the same as the ginormous ones they have in a farmer's market. Technically you wanna say, one half cup chopped parsley. If you're using the right measure, you're gonna get close to the right amount the flavour profile you're looking for. When you're measuring flavouring spices — make sure that you use measuring spoons, fill them and level them off. Because otherwise it's gonna vary. If you want them to make it exactly like it was, then it's on you to measure ingredients as accurately as you can. You should add that many ingredients can vary in taste, in pungency. It's like our America's taste for spice has gotten much higher, or many people's tastes around the world their tolerance for spice. If your recipe tell Americans "salt to taste," well guess what, they're going to use more salt these days. If you're going back to recreate your grandmother's recipe, and might find that it's boring now. This is your recipe for today: if you want your recipe to have more salt, or more spice, or whatever, you could either write a note that you've added more salt, or again you could put "salt to taste." The reason to test your recipes, aside from just validating your flavour, is that you wanna know that the method is written correctly. You might forget a step, and lo and behold, your tester goes, "What do I do with the vanilla? It's not in there." That's why it's so, so important to test your recipes, and write 'em down in order. As I said, add pictures, add links – just go get those stories document. I think that the stories are gonna be the most exciting part of what you're doing. Invite your family and friends to eat in your kitchen, and as they are eating, they're gonna share stories, and it's gonna bring up more memories for you. I have cooked with my grandsons now, and I would tell him how I would cook for the kids when they were young, "I didn't know that." There's something very enchanting about that. And there's nothing wrong with taking someone else's recipe and making your own. You can start out a head note by saying, "This is Mary Giovanni's recipe for minestrone but I decided I didn't like this, and I've added green beans." A long time ago, a lot of minestrones had lima beans. In my family, we didn't like lima beans, so we didn't put lima in it. Simply make it your own, and then say why. How accurate an authentic should your recipe be? Do you want to go back in time and measure with old fashioned measurements? I'm not that kind of purist, I'm seeking to recreate the experience of my family background, and my family, including my extended family, and moving that forward. If I was trying to do a historical project, as I said, you could go online and find historical societies where you can go look for family recipes. But you have to decide, are you going to do it exactly how it was done, are you gonna use short cuts? There were no food processors back in the day. If I'm making the base for soup, sometimes I put 'em all in food processor and pulse them. Are you gonna finely chop? There's a lot of things that take chopping. Lidia Bastianich gave me a recipe in which she talked about the hardships. She's a very famous chef today but she came from a pretty hard-scrabbled background and she talked about going into her grandmother's kitchen, and how much it brought her comfort and security. And I think that's what we all are seeking right now: the comfort of home cooked meals, and the security it gives. I think that's really marvelous. Blend butter with 1-1/2 cups of the sugar, the molasses and egg. Combine flour, baking soda, cinnamon, ginger, clove and salt and sift them into butter mixture. Mix well. Cover and refrigerate until dough is firm, about 45 minutes. Preheat oven to 375° F. Lightly grease 2 cookie sheets. Form dough into 1-inch balls, rolling each in the remaining 1/2 cup of sugar before placing it on the cookie sheet. Leave about 2 inches between each cookie. Bake in the middle of the oven until cookies are golden brown and tops are cracked, about 8 to 10 minutes. They will still be soft. Remove pan and transfer cookies to wire racks to cool. Store in an airtight tin.